Satay (Sate). Who doesn’t like meat on a stick? Make that grilled meat over charcoal on a stick, served with a delicious, nutty and spicy peanut sauce. Originating from Indonesia, this dish has long been adopted by the locals from the South East Asian region and modified to suit the tastes of the local cultures. The actual origins of satay go far back and it seems, that satay is a version of the Middle Eastern kebabs brought over to South East Asia during the era of spice trades where Indian merchants would trade on the coasts of Java. Regardless of its origin, satay is definitely embedded into Malaysia’s local food scene and is a must have when you visit. Commonly found in all hawker stalls, street-side vendors, night markets and open-aired food courts, satay vendors serve an array of meats. Depending on where you go, and the type of restaurant you visit, you will experience slightly different options and different satay sauces. In Malaysia, most of the satay you will find is usually halal and will consist of chicken, beef or mutton. If you know where to go, you can usually get non-halal pork satay and pork offal satay from Chinese satay stalls. 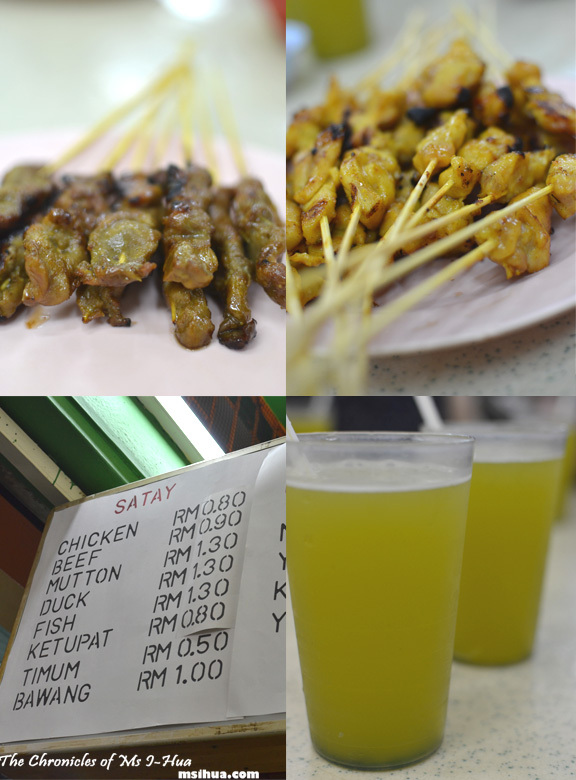 In Malaysia, satay is most famous in the town of Kajang (where the Boy is from, yay! ), and has been declared as the Satay City of the country! The key ingredient of the dish is definitely the use of tumeric, hence the wonderful golden colour it has. Satay is a pretty easy dish to make and one can usually replicate this at home. However it isn’t quite the same as getting it off the streets, as the technique of it being good and tasty relies very much on the open charcoal grill, with constant fanning required. Satay in Malaysia is usually served with raw red onions, sliced cucumber, ketupat (compressed rice cakes) and a spicy peanut sauce. 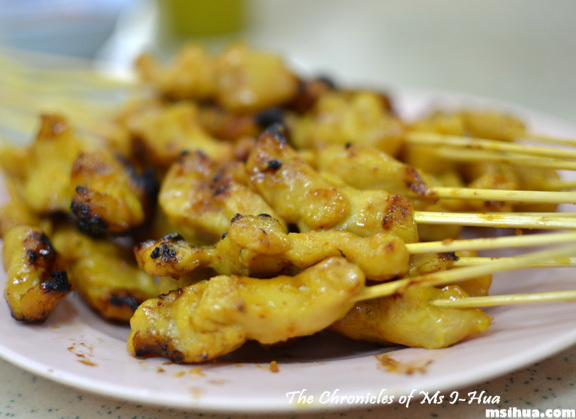 As mentioned before, there are a myriad of different things which can be used as Satay. It pretty much is grilled marinated meat, on a stick. So the choices are endless! 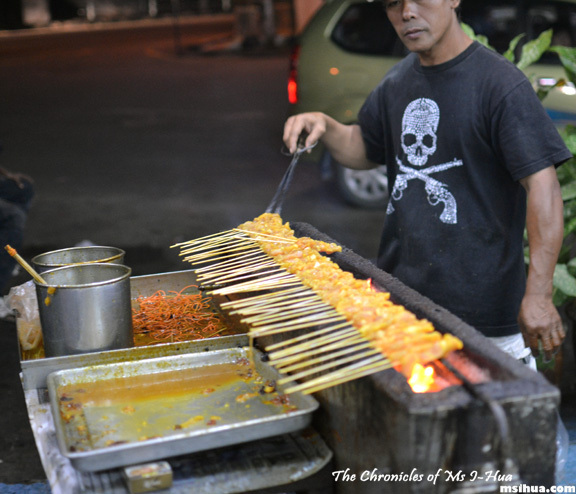 One other common satay dish in Malaysia is the famous Satay Celup from Malacca. 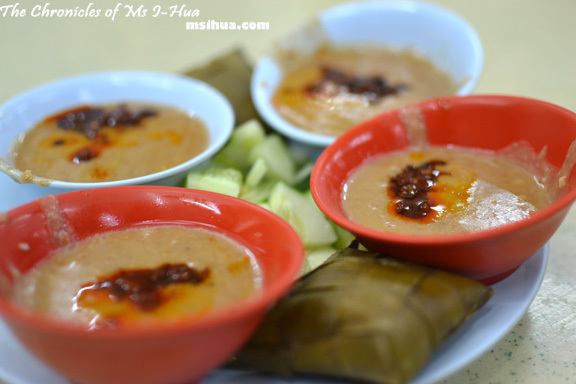 Marrying the two food cultures of the Malay satay and the Chinese hot-pot, Satay Celup involves the cooking of food on satay sticks into a pot of boiling hot peanut sauce. 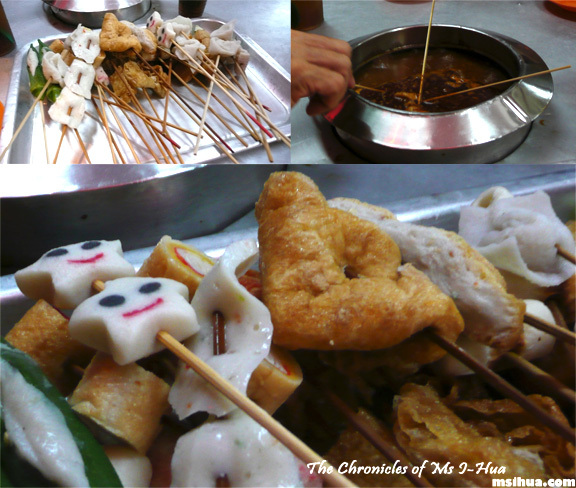 As you can see, you can pretty much put anything on the stick (including yong tau foo items and fish cakes) into the hot-pot, and no grilling is required. If you ask me however, I much prefer the original version of grilled satay, as that is where all the action is at. So tell me dear readers, have you had satay before? And if you have, where were you and what version did you have? I’ve never had Rabbit Satay! We love satay in all its forms, but the best was the charcoal cooked ones when I lived in Singapore. Yummo! You lived in Sg? For how long? What are the smiley face ones made from? I’ve never seen that before! Everything tastes better on a stick. True story. We used to make special trips to Kajang just for the satay! oooo… You know.. after being with the Boy for 11 years, he’s only taken taken me to Kajang Satay less than 5 times! *fail*! I love satay and am actually a little bit addicted to the satay house in Melbourne for a little satay lunch action. You know what? I’ve never been.. I should go check it out! Oh YUM 🙂 I love satays to but i think it’s really hard to get them here in Australia at least they’re definitely not as tasty and yummy as the ones in Malaysia!!! I’m totally addicted to the peanut sauce! Nope.. so have to resort to making your own.. although Chilipadi does a pretty good version! Wash your mouth out boy! Do you have a good satay recipe?